Hiring a Lawyer in WA State? Choose Burg Theft Defense. A good fit for you. Hiring a lawyer for your theft, shoplifting or fraud charges. Many people accuse of theft, shoplifting or fraud have never had to hire an attorney before. Your goal is to hire the best possible lawyer to represent you on your case – and we would like to give you some tips on how to do that. Most importantly, you should find an attorney that is a good "fit" for you. This is an attorney who excels at the practice of law in the area that you are facing your charges and who you feel comfortable working with. It must be someone you can trust to fight hard for you and to give you good legal advice. Q: What should I look for in a lawyer for my theft charges? Experience as a criminal defense lawyer and experience with theft cases. The best lawyer for you is one who has represented many people with similar cases and who dedicates their practice to helping people in situations like yours. We limit our practice to representing clients accused of crimes in Washington State and have combined over 30 years of experience. We are happy to meet with you and discuss our specific experience with theft cases like yours. We are not aware of anyone that handles only theft cases for a legal practice, however, over the hears we have handled dozens of them. Training beyond law school and relevant to criminal defense and your specific type of case. While all lawyers must attend a minimum number of continuing legal education (CLE) hours to remain licensed, the best lawyer for you will go above and beyond those minimum requirements to stay up to date on legal issues that may impact your case. In addition to attending many hours of CLE training on Washington State criminal defense related issues, because of our experience and reputation we are regularly asked to speak and present at CLE courses that teach other lawyers. Reputation in the community as one of the top lawyers defending people accused of crimes. The best lawyer for you will be a lawyer that other professionals in the legal system respect and look to for advice. Great lawyers have earned the respect of their peers and have opportunities to teach other lawyers at CLEs, write substantive articles on legal issues (not “self published” advertising articles), and work with policy makers to improve the system and protect the rights of people accused of crimes. We are proud of the recognition we have received by our peers in the legal system. We are regularly asked to teach other lawyers at continuing legal education courses, write articles for criminal defense and legal journals, and help draft the laws and policies that impact our clients. We are also proud of the fact that we routinely receive client referrals from past clients, judges, prosecutors, members of the law enforcement community, and other lawyers. Involvement, not just membership, in legal organizations. Any lawyer can write a check and join legal organizations and bar associations. The best lawyer for you is one who is actively involved with organizations that fight for the rights of people accused of crimes and help shape the judicial system. We are actively involved, including as officers, board and committee members, in many organizations that impact the judicial system and the rights of our clients: Washington Association of Criminal Defense Lawyers; Washington Foundation for Criminal Justice; Citizens for Judicial Excellence; Cardozo Society; Northwest Association of DUI Defense. Professional treatment of you and others. The best lawyer for you will treat you with respect, provide honest and accurate information about your case and the law, and help you make the best possible decisions. A lawyer's staff should be professional, friendly and helpful. We work very hard to treat our clients the way we would wish to be treated in their shoes. In addition to providing skilled representation, we strive to return all phone calls and e-mails promptly, arrive on time and prepared to court appearances and meetings, and to patiently answer questions with honest and accurate information. The testimonials and referrals we receive regularly from our clients tell us we are succeeding. Personality, both yours and the lawyer's, should be considered when hiring a lawyer. While certain traits are crucial for any lawyer to do the best work (attention to detail, organization, diligence), all lawyers have different styles and approaches to their work. It is important that any lawyer you choose is a good fit for you personally – someone you feel comfortable with and feel you can trust. We are happy to meet with you in person so that you can determine if we might be a good fit to represent you. If we are not, we probably know someone who will be and would be happy to give you a referral. Q: Can I just talk to a lawyer over the phone instead of setting up an in person meeting? While in some circumstances speaking over the phone may be the only option, experience has taught us that nothing beats an in-person consultation. Meeting with us in person is the most effective way for you to determine if we are the right fit for you and for us to give you accurate advice about your case and options. An in-person consultation also gives us an opportunity to review any documents you have as well as provide you with materials that may be helpful for your case. Q: May I bring someone to the initial consultation? You are welcome to include friends or family members in the initial consultation. We will discuss with you what that may mean for confidentiality, but when appropriate we are happy to include anyone you wish in the process. Please do not bring anyone to your consultation with whom you have an active protection or no contact order. Q: What kind of attorney fees should I expect to pay? Most people are concerned about the cost of legal representation whefree consultationn they are facing Washington State charges. Without sitting down and discussing your case in depth, it is impossible to know how time consuming and complicated your case will be. It is for that reason the cost of your case will be discussed at your free consultation. Our clients have found our fees to be very reasonable given our experience and credentials. We work hard to keep our office expenses reasonable so that we do not have to pass those expenses on to our clients. Though we are not the most expensive lawyers around, we long ago decided that we would not sacrifice quality for volume. In this business you simply can't do both. We know that we must be succeeding as we have had people come back to us after seeing, and even hiring, other lawyers. We even get referrals from people that have hired other lawyers and later realize that they missed an opportunity by not retaining us. Our prices are competitively priced for Washington State charges and most people who want a private attorney can afford us. Also, because of our different levels of experience, we are able to work with people of differing income levels. Fees are usually quoted on a flat-fee basis but for some situations a hourly fee agreement may be more appropriate. Some people with charges outside of Seattle want to know if they are paying additional fees for us to travel to court. The answer is no. For cases in King, Snohomish, and Pierce counties we do not charge additional fees for travel and will make as many trips to court as necessary to handle your case. We are used to traveling around these counties and over bridges, it is just part of what we do. For cases outside of these counties, there may be an additional fee added. Q: What can I do to prepare for our initial consultation? Come prepared with your questions (many people find it helps to write them down prior to our meeting). We will be giving you a lot of information when we meet – and it is common for people to forget all the things they wanted to ask us. Of course, if you do have questions after our initial consultation feel free to call or email us any time. Bring copies of any materials or documents that you would like us to review. Generally, we can access everything we need for the initial consultation but we are happy to go over any paperwork you may have received already and discuss it with you. Be as honest and accurate with us as you can. 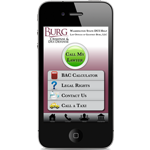 The more accurately we understand your case and situation, the more accurate our legal advice will be. Everything you talk about with us is confidential. Q: What are common mistakes people make when hiring a lawyer? Because people accused of a Washington criminal charge are often faced with hiring a lawyer for the first time, we see some common mistakes we don't want you to make. Focusing on statistics. Trying to determine if a lawyer is skilled at what they do by asking for statistics or win/loss records is misleading. Every case is unique and these statistics are easily manipulated. A lawyer may be able to say they “win” most of their trials if they are only going to trial on easy cases. An exceptionally skilled attorney may “lose” a lot of trials simply because they fight every case – even the very difficult ones. Looking for predictions or guarantees. While an experienced lawyer can give you a sense of some common resolutions for cases similar to yours, no ethical lawyer will give you a guarantee or predict how your case will be resolved. Choosing an attorney based on price. Lawyers are ethically required to charge reasonable fees and most skilled lawyers charge similar fees for similar types of cases. Fees may vary based on a specific lawyers experience and reputation within the legal community. Be advised that a fee is generally based on the number of hours an attorney expects to be working on your case and a quote for a fee significantly lower than other lawyers you have spoken with could indicate the lawyer would not intend to spend much time working on your case. However, just because an attorney charges a lot of money doesn't mean they are the right fit for you and your case.